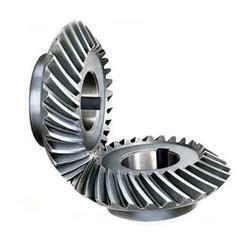 Manufacturer & Exporter of Helical and Bevel Gears. Our product range also comprises of level indicator, Industrial Heaters and Thermo Couples. We are al eading manufacturer and supplier of Mecanical Engineering products. We have emerged as the leading organization, engaged in offering a wide variety of excellent quality Helical and Bevel Gears. These helical and bevel gears are manufactured under the stern guidance of our skilled professionals using the best quality raw materials and cutting-edge technology. In addition to this, we offer these helical and bevel gears in different specifications as per the exact requirements of clients.